Eyes On Church was born in response to an emerging need created by the modern man’s lifestyle and values. The marriage of high quality eyewear, Chic and Sophisticated with the ultimate in comfort and fit. Eyes on church the most unique boutique style eyewear in Toronto. A full service optical providing prescription eyewear, contact lenses, sunglasses, eye exams, and repairs. We pride ourselves in providing the most exclusive premium products from around the globe and are dedicated to being at the forefront of the eyewear industry. Eyes on Church was established in 1997 by visionary Farhad Ghahremani. 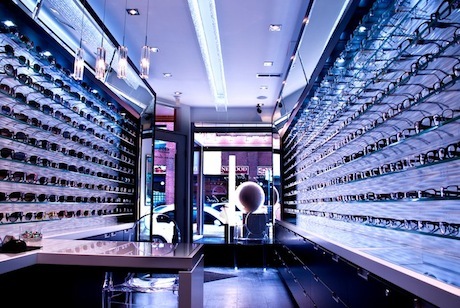 The optical shop was born through Farhad’s passion for fashion and eyewear but more importantly, to establish a unique one-stop shopping experience for their customer’s range of eyewear needs. Eyes On Church is known for carrying the most exclusive and premium products, not to mention, their exceptional customer service. “I never carry two of any frame – I strive to stock the most unique items so that my customers always have fashion forward, quality products.” Says Farhad. Today, Eyes On Church has grown into a winning business – dedicated to being at the forefront of the eyewear industry. Timeless in our interpretation, modern in our classicism, and in tune with the intrinsic values of the client. We never carry two of any frame – we strive to stock the most unique items so that Our customers always have fashion forward, quality products. giving you a touch of understated glamour. but incorporate an updated modern touch with a surprising ease. We are a full service Toronto optician providing prescription eyewear, contact lenses, sunglasses, eye exams, and repairs to ensure that you receive the finest optics possible. With every purchase of eyewear comes a two-year warranty on all manufactured defects. An eye examination should only be done by a licensed optometrist. Not only will it help determine your prescription but it also evaluates your overall health. To make an appointment to see an optometrist today. but stands out through its distinctive style. who couldn’t be more different in their taste. in particular from aerodynamic and automotive styling. yet elegant, they exude sophistication and a sense of luxury.